We want to transmit our love of Menorca to you and offer you charming accommodation where you’ll feel welcome with all the comfort and facilities of a category hotel. We arrange to greet you on arrival at whatever time, and are here to ensure that you have everything you require. Feel free to use our hotel as a home, while we will be delighted to say good morning and help you plan your day so that you make the very most of your stay. We were made to feel at home right from the start, very nice and friendly. A real luxury if you want to get away from a typical hotel on the coast. Unforgettable. We’ll be back! Small in size but big on potential. 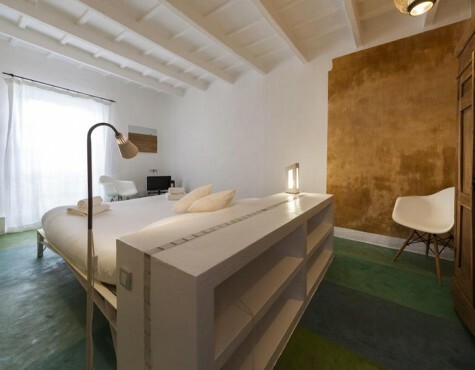 Accommodation that simply oozes charm in every sense, tucked away in the historic quarter of Ciutadella. Un hotel de estilo minimalista y refrescante para quienes desean ser inspirados por la tranquilidad y la belleza de uno de los últimos paraísos del Mediterráneo. Sodium Hotel uses its own and third party cookies to collect information in order to improve our services. If you continue browsing, it means acceptance of the installation of the same. The user has the possibility to configure his browser, if he wishes, to prevent them from being installed on his hard drive, although he must take into account that such action may cause navigation difficulties on the website. How to configure.